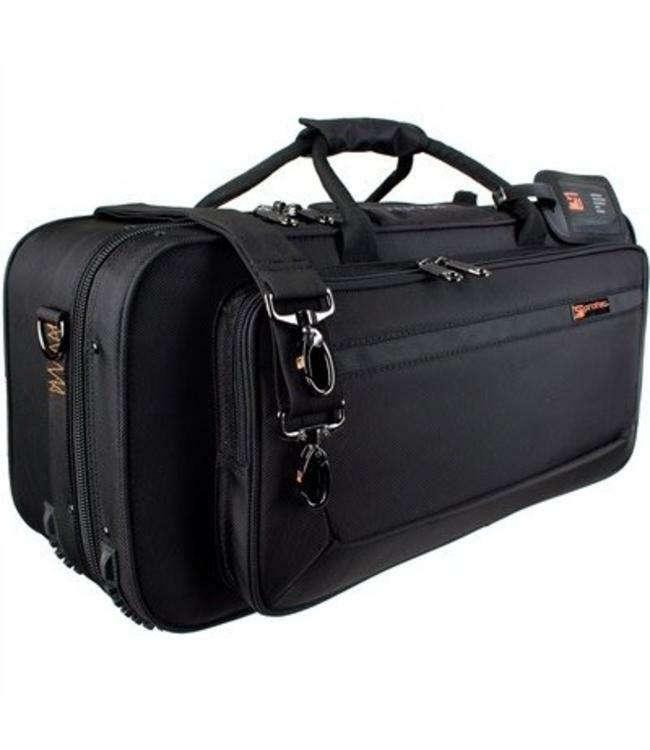 Protec's Trumpet PRO PAC case with Mute Compartment offers a compact design with traditional slot-load protection & convenient storage. Features a custom molded shock absorbent shell and is lined to envelop the instrument and protect it from impact. Interior trumpet cavity length: 21"